Physician Profile - Salveo Family Clinic - Caring for patients, not just treating symptoms. 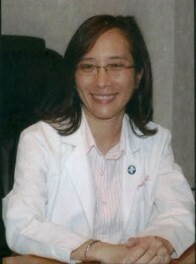 Dr. Jacqueline Le, a board-certified Family Practice physician and an honors graduate of the University of North Texas Health Science Center, began practicing medicine in 2003 and now has opened the Salveo Family Clinic in Allen, where she is proud to announce she is welcoming new patients. Dr. Le has been designated as UnitedHealth Premium® physician by United Healthcare, she has also been selected as Blue-Ribbon provider by BlueCompare of BlueCross BlueShield of Texas. Dr. Le treats patients of all ages beginning at 2-weeks-old. She especially loves treating children because she has two young boys of her own. As a Family Practice physician, Dr. Le has been trained to treat everyone. This is very convenient because the entire family can be treated at the same place. Her philosophy is to do her very best to help patients whether they have insurance or not. She works hard to find a way to care for all people who come through her door. Dr. Le uses a team approach with her patients so they can help themselves get better. It is important to her that the patients understand exactly what is going on with their bodies. She listens intently so the entire patient can become well versus just “slapping a Band-Aid” on the part of obviously in need of help. If you become a patient of Dr. Le’s, don’t be surprised at the time she will take to get to know you. That relationship will allow her to gauge changes in your health by your emotions. Dr. Le’s belief is that preventive medicine is the key. If you are looking for a Family Practice physician that cares for your health and well-being, is readily accessible, and treats you as a friend, then Dr. Jacqueline Le is the right choice.